Although the 2014 founders meeting was deemed a huge success there were a number of distractions. One of the founders was called away to an urgent meeting involving the nearly extinct southern toad and the Sargent of Arms did not attend. It was noted in the meetings official notes, that Nick Keene (Mr. Sargent of Arms) was born on this day some 30 years ago and found age had been hard on his bowels and was not able to attend. 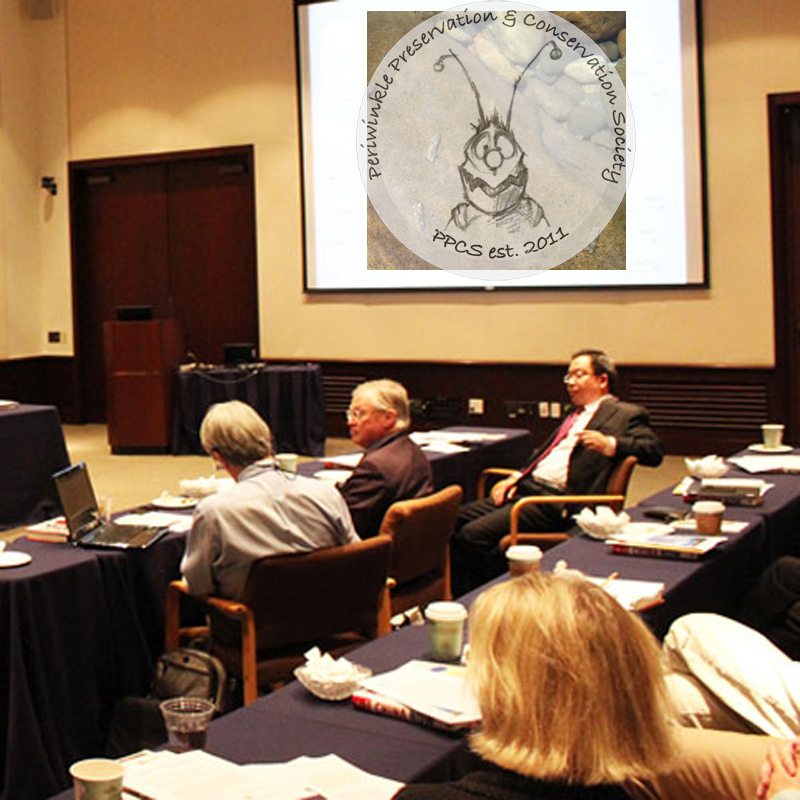 Topics discussed at the annual meeting included menu and venue. The menu and venue seem to be a success so no changes will be made. Challenging activities that last 60 seconds or less, encouraging the sophistication of members, was a lively topic with many suggestions put on the table. We will revisit at next gathering as it became clear a subcommittee may need to be formed to take on this very popular event. We do want to announce, after hours of discussion, the date for the 2014 periwinkle rescue has been set. AUG 2nd 2014 looks to be a historical event as periwinkles have already been spotted in the wild waters. A rare siting of the recluse bird, The Anaranjado Caucho Pato, more commonly know as “Yellow Rubber Duck”, has been spotted floating in the beautiful turquoise aqua of the banks of the Santiam. Prepare now for the event that just might change your life. The dust has finally started to settle… The committee has proclaimed 2012’s gathering a huge success. The reports are starting to come in from down river that the counts of Periwinkle are on a prolific uptick. Thanks to all those who sacrificed and worked so hard in this endeavor. The committee will be meeting soon to plan next years events. Standby for more photo’s and video from the 2012 PPCS second annual meeting. Dear Great Periwinkle on this 10th day of August, 2012, we ask that you purvey your most precious blessings on all present. Proceed with us through these most pulchritudinous few periods, as we prepare ourselves to preserve and protect the periwinkle. Please procure ample sustenance to perpetuate our perambulation throughout these peaceful days, and propagate prolific blessings on those who prepare and provide it. Protect us all with pristine piousness and provide plenty of photonic rays to warm us. Should any person become to pickled to party, provide them with a pleasurable place to placate their pounding head, and return them to us promptly. For all the people present, and for the perpetuation of the periwinkle, we ask your most powerful blessing.. AMEN! I now proclaim the 2nd annual program for the Periwinkle Preservation and Conservation Society open!! May God have mercy on our souls. A beautiful summer day in August 2011 lead to the creation of PPCS – Periwinkle Preservation & Conservation Society. 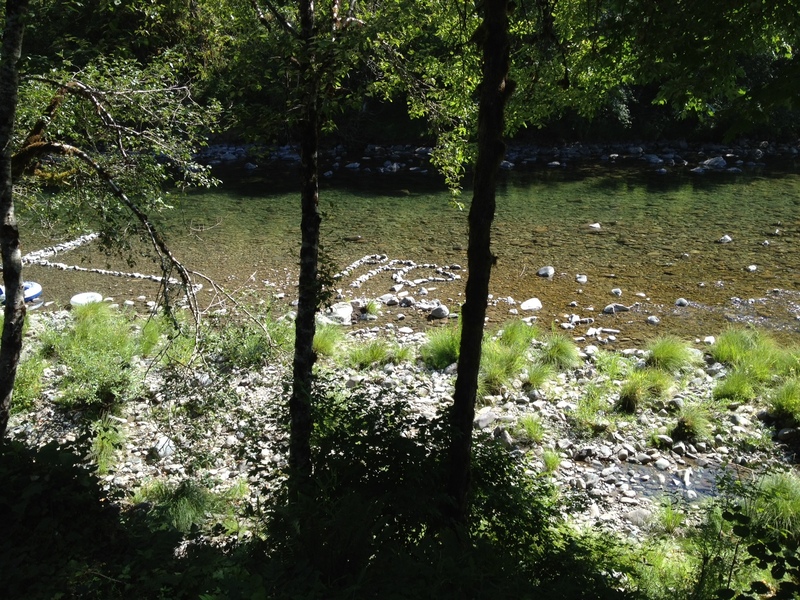 As a group of friends enjoyed the warmth of the sun and the cool water on their feet, they noticed interesting bugs crawling in the water, masked in coverings of pebbles or sticks. We wanted to know more about these underwater wonders and their odd beauty. We wanted to make sure their habitat remained a safe environment for generations to come. Thus, a society of friends was born out of a concern about these small miracles. We invite you to support our cause and follow our progression of the Periwinkle. About the bug: These small creatures are the larvae of the Caddisfly and are most commonly referred to as Periwinkles in Northwestern US. 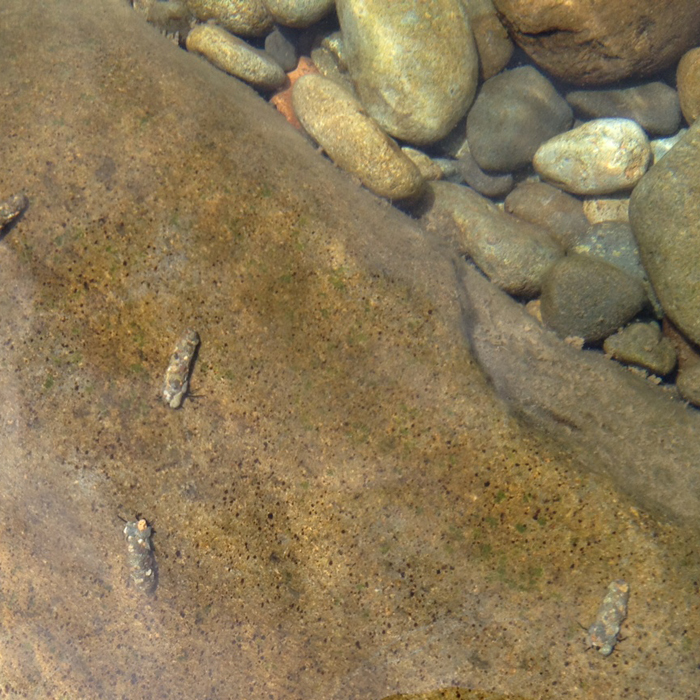 The Periwinkles of the Little North Fork River of the Santiam are case-making caddis flies. They build a case of silk, which holds together substrate materials such as small fragments of rock, sand, small pieces of twig or aquatic plants. These cases are open at both ends allowing oxygenated water to flow through the cases and over their gills. The larvae enter a pupa stage for weeks or months after they mature but before they emerge from the water. 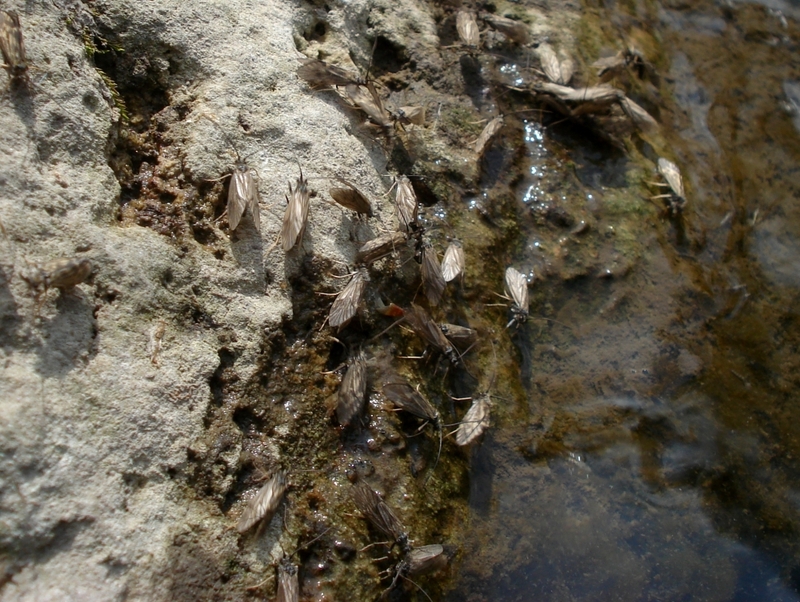 Once the water cools in the fall, the mature Caddisfly emerges from the water, shedding their intricate case, to look for a mate. Their life span above the water is anywhere from 1 to 2 weeks and up to 2 months. Their sole purpose is to mate and lay eggs before their life cycle ends. Eggs hatch in as little as 3 weeks and the cycle begins again. Most lifecycles are completed in a single year. The Northwest Rivers come to life in the fall as the Periwinkles emerge or “hatch” synchronously en masse. 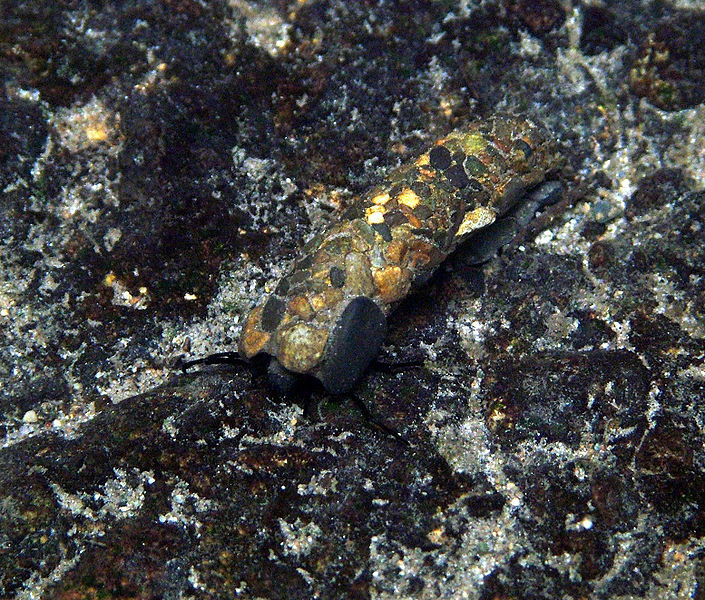 This emergence pattern ensures the Caddisfly will successful find a mate among the masses. The mass hatches bring Salmon and Trout to the service to feed on the abundant buffet fueling them with energy and nutrients. The site of fish rising, bring the anglers and their artificial caddis flies for a day of catch and release in natures most beautiful places, the rivers of the great Northwest. Subscribe to our blog to follow our Periwinkle ventures and our quest to promote the small wonder of these amazing bugs. It is a journey that has brought the founding members great joy and memorable moments as we unite annually for the cause.